Bless the internet and the genius minds that created and developed it to how it is today. Now, connecting to people anywhere in the world is just as easy as a few clicks on your computer or mobile devices. Business has never been made any easier. Competing with bigger brands has been made more possible. Indeed, everything is now easier with the world wide web providing us with almost every solution that we need. As much as how connectivity and accessibility made our lives easier, it also gave an opportunity for crooked geniuses to rip us off our gains. Yup, a huge part of the perks of connectivity is the rampage of hackers and spam attacks. And this mate, calls for the need for effective security on your websites. And that’s where these malware Spam remover Sydney tips comes in. Outdated software, plug-ins, and programs are generally the weakest way into your website’s backend. Most hackers online use crawlers and bots that will crawl through the world wide web and spread malware rich content. Therefore, it would be best to keep updating your software for better security. It’s one thing to keep a password that’s easy to remember. It’s another way to ensure your password is not easy to break. Also, never ever use your birthday! Easy to break password are some of the most common culprits on some malware spam remover Sydney cases that we get. There are two ways an SSL certificate can benefit your website. One, it gives assurance to visitors and somewhat implies legitimacy on your trade online. Two, encrypt communication between networks as data passes through the web, thereby securing your website from spam malware. On some malware spam remover Sydney cases, websites that allow users to upload files becomes a victim of dubious spams and hacks. Scripts can be encrypted into files. Typically, these scripts would activate once your server opens your website. As aforementioned, spammers and hackers often use automated digital bots and crawlers. Thus, captcha programs can really come in handy for you. Although a slight caution may be necessary in using them at times. Because captchas have the tendency to frustrate visitors. Another common malware spam remover Sydney case is the use of SQL injections or XSS. So, be sure that your web designer/web developer knows how to secure your databases using parameterised queries. This technique is best to repel SQL injections. On the other hand, the good security for XSS attacks is CSP. If your web designer knows how to use it, then you’re good. There are also several safety guidelines that should be an obvious knowhow for website developers and owners. Sadly though, sometimes it’s just too easy for many to overlook these guidelines. But if you want to secure your website, you should always make it a point to practice them. A protected website should be able to thrive through all the challenges of marketing online with ease. You will never have to worry about your valuable stats getting ripped off. Not will you worry about crucial information leaking away. Follow these malware spam remover Sydney tips and have a better web business venture. Do you need some help in protecting your websites? If you’ve been frustrated in keeping your website secure, perhaps you just didn’t find the right hosting provider for you yet. Try to check us out. Explore our services on our website or check our blogs for more information. Or better yet, give our friendly staff a call, we’ll surely be able to help you out. Quit dilly-dallying and get the solutions that you are looking for today! 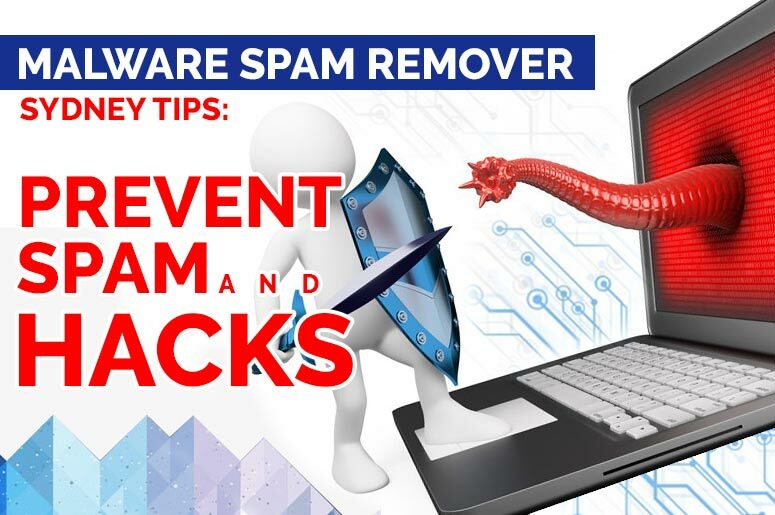 This entry was posted in Website Repair and tagged malware spam remover, malware spam remover sydney, malware spam remover tips, spam remover, spam remover sydney, spam remover tips.